This is really important creative. Creative that can actually save lives. WorldVision was a very rewarding account. Budget efficiency and conversion were paramount since underprivileged children all over the world would benefit from a job well done. Strategic insight told us that consumers were not seeing the actual day-to-day value of their contributions. This campaign was created to focus on the wealth of stories and children who have had their lives changed for the better. A mosaic of small images could be clicked into to reveal a plethora of stories showing a life change in children all over the world, as well as the value that those who contribute receive. Video testimonials of contributors in the field were also a powerful way to show the profound feeling of giving to this great cause and seeing the difference. 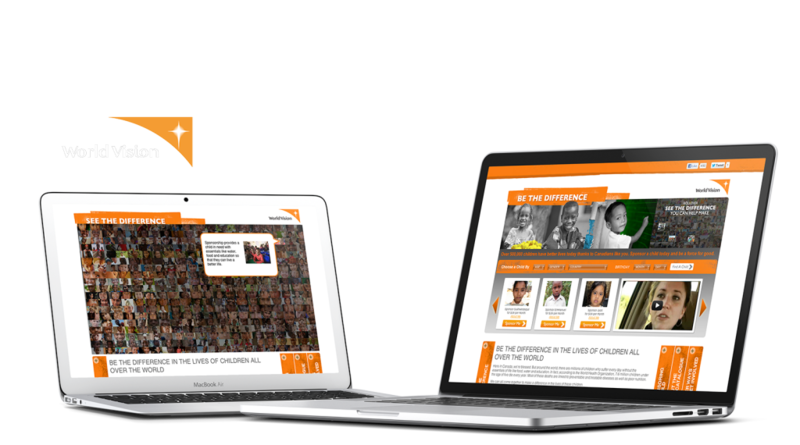 WorldVision is a Christian humanitarian organization dedicated to working with children, families and their communities worldwide to reach their full potential by tackling the causes of poverty and injustice.